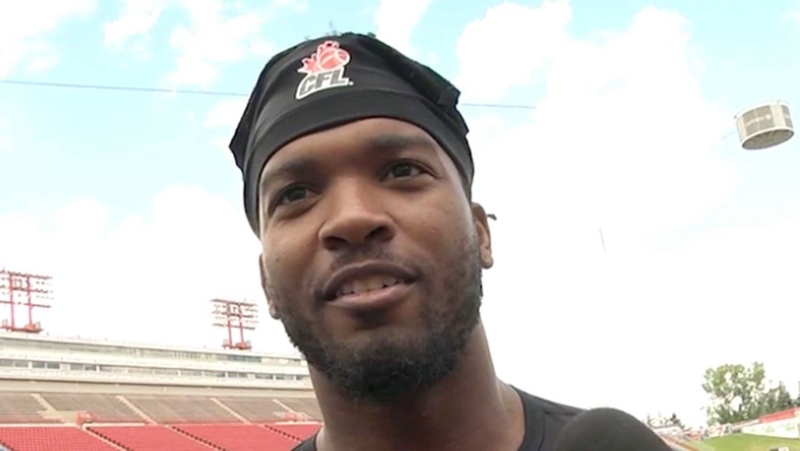 CALGARY - A woman who was at a bar the night Calgary Stampeders player Mylan Hicks was killed two years ago says the man accused in the murder was aggressive and obnoxious before the fatal shooting. Nelson Lugela, who is 21, is on trial for second-degree murder. Hilary Jeavons told court Lugela was one of the instigators in an altercation with a group of Stampeders at Marquee Beer Market on Sept. 25, 2016. She says Lugela approached the players at least twice, was aggressive and bumped into her numerous times without apologizing. “Nobody else bumps a girl out of their way - he did,” she said. “So therefore he's the shooter? That's your conclusion?” Hepner asked. Hicks was shot twice after the bar closed and died a short time later. Guy told court the shooter was a black man, about six feet tall, close to 200 pounds with spiky hair wearing a white T-shirt and blue jeans. Lugela, 21 has pleaded not guilty to second-degree murder in Hicks's death. 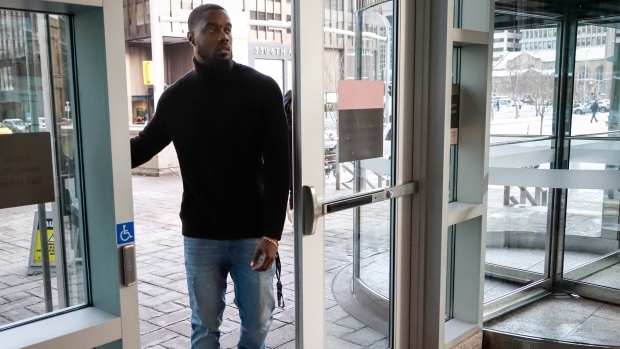 Hicks was a member of the Stampeders practice roster and court has already heard the team was out celebrating a win over Winnipeg when the shooting happened.